Packed with premium content and offering a slew of impressive upgrades, the Ford Focus Titanium has become a notable success by offering customers exactly what they want in an upscale and efficient compact package. So when Ford found out that a significant number of customers actually wanted a manual transmission in the car, the company gave them that, too: After initially offering the Focus Titanium solely with its six-speed PowerShift automatic transmission, Ford soon will bring a five-speed manual gearbox into play. Although the decision may seem counterintuitive at first, Ford says it’s a recognition of marketplace realities: Many Focus Titanium buyers are coming to the vehicle from upscale rivals that target enthusiasts by combining creature comforts with the kind of dynamic driving experience that’s only available with three pedals, and these shoppers expect the same from the Blue Oval. In meeting this customer demand, Ford will add a new dimension to the Focus Titanium’s already athletic demeanor, which features both a sport-tuned suspension—with standard rear stabilizer bar—and an available Titanium Handling Package that tightens things up even further. 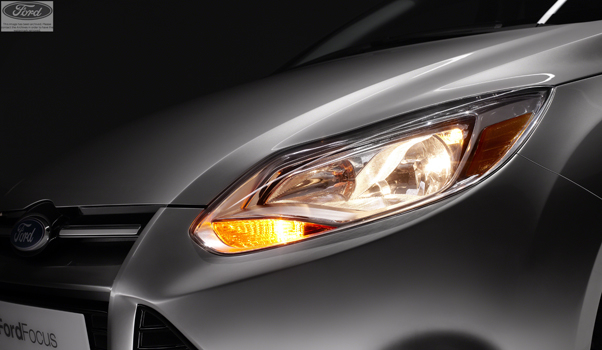 The five-speed manual transmission is slated to become available with the Ford Focus Titanium later this year. 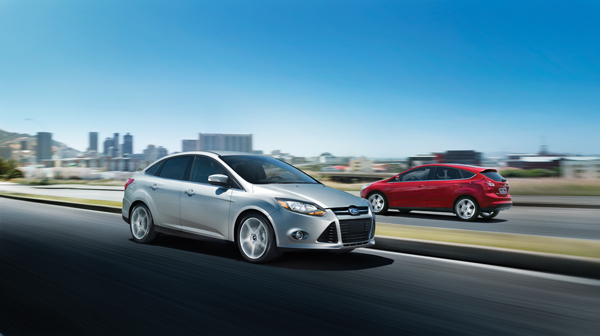 If you have any questions about the 2012 Ford Focus Titanium or would like to test drive one, contact at us on our website at www.brightonford.com, or stop by our store and would be happy to answer any questions you might have. Brighton Ford is located at 8240 Grand River Ave. just north of I-96 in Brighton. We are a family owned and operated business that strives on customer satisfaction. For more information on Brighton Ford, visit www.BrightonFord.com or give us a call at (800)-836-8206.